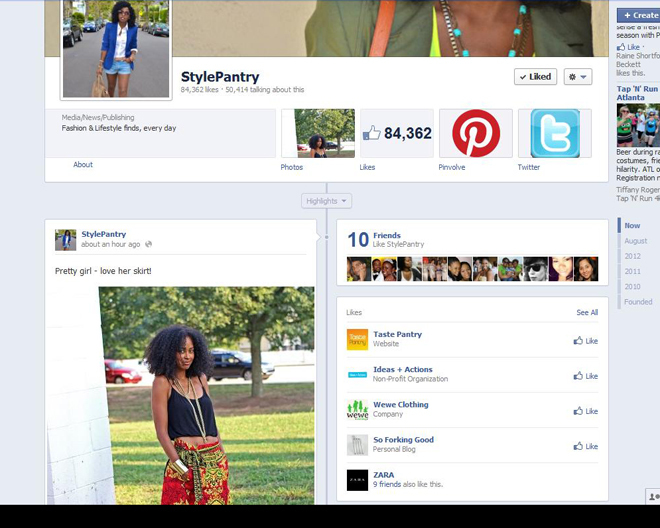 I was alerted by some friends that I was mentioned on Style Pantry's Facebook page. And surprise, surprise--there I was! I've been a follower of Style Pantry for quite some time now, and am a huge fan (she has a huge followng, btw)! She has awesome style--very eclectic, but sophisticated with an ethnic twist, which I think we both share--as well as big hair. I think she is a bit more daring with colors and accessories, but I admire that! Anyway, I take this repost as a huge compliment! This made my Friday! Congrats! And I love your blog's new look. Congrats Nik! I heart your blog! How AWESOME! I love her style and yours as well. I can definitely see the similarities. That is so, so, so awesome!! I love her too!